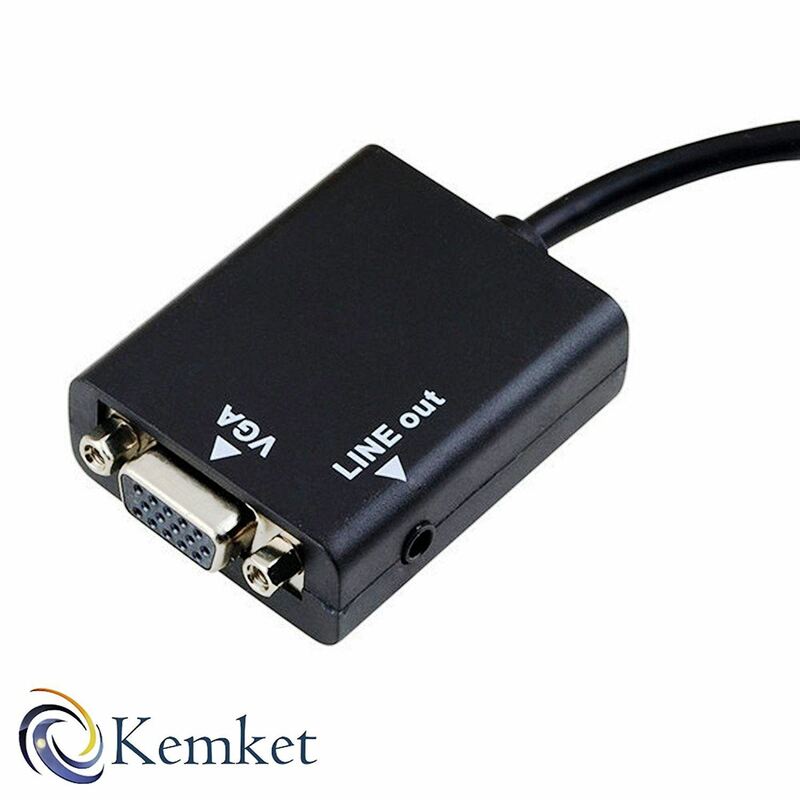 Kemket HDMI to VGA Converter enables you to connect your new Note Book, Laptop, Apple TV, Chrome book, HD DV with HDMI interface to projector, LCD, TV & Monitor with VGA interface for big screen viewing. It support resolution up to 1920x1080 @60Hz, and provides with a 3.5mm audio line-out jack, which allows you to enjoy audio and video simultaneously. When the source devices could not offer enough power, then you could connect a micro USB cable for additional power, Like Mac Mini in 2014, Android Smart TV Box etc. Specification 1. 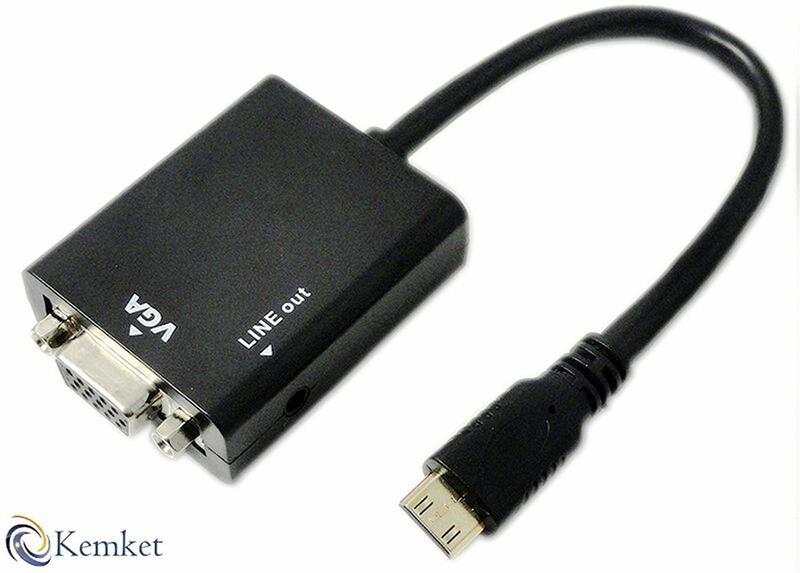 Input interface: HDMI Male/ Micro USB 2. 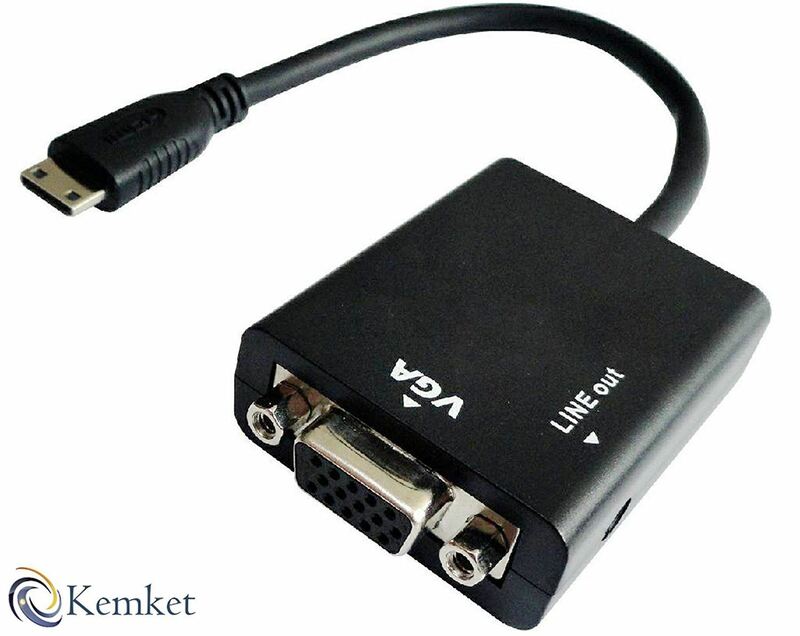 Output interface: VGA Female, 3.5mm audio 3. Support Video output in VGA:1920 X 1080@60Hz(Max) 4. 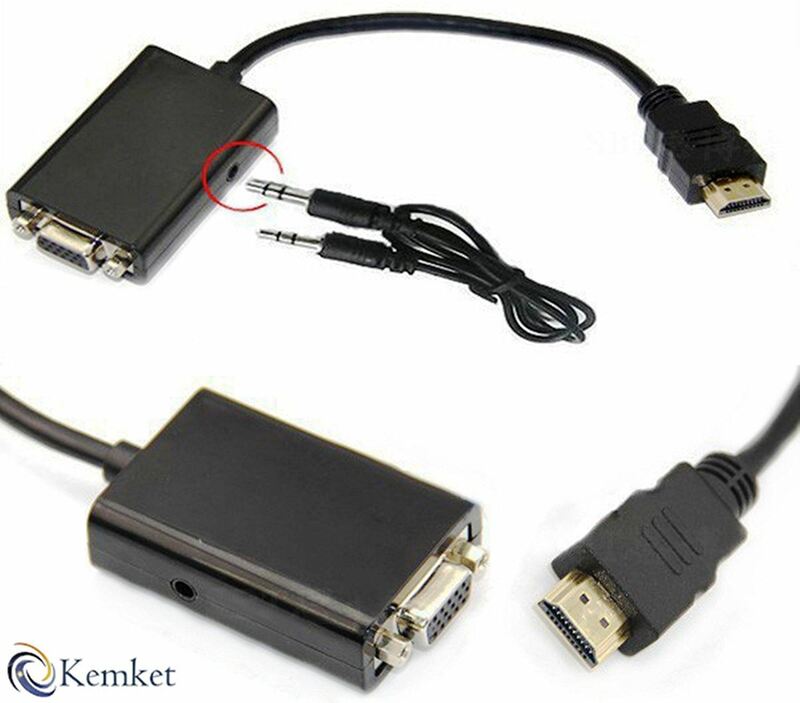 Additional power from Micro USB connector HDMI input resolution support: 576i,480p,576p,720p,1080i,1080p VGA output resolution support: 800X600, 1024X768, 1280X720, 1280X768, 1280X800, 1280X1024, 1360X768, 1600X1200, 1920X1080 . 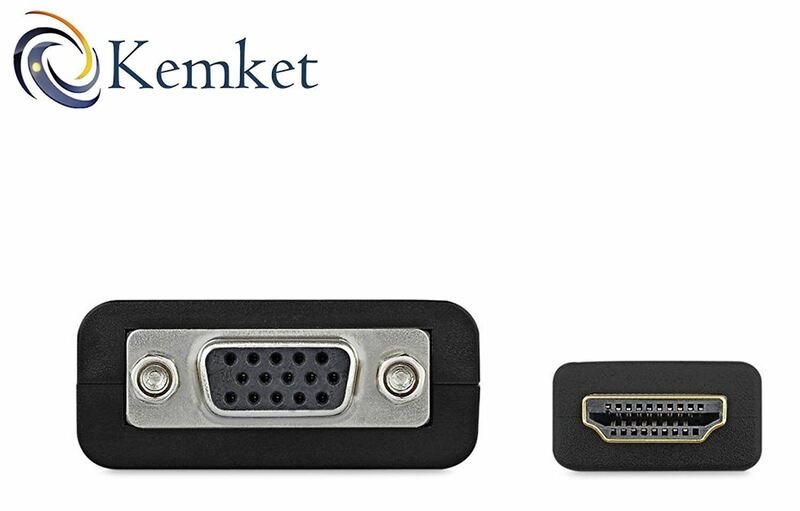 Kemket HDMI to VGA adapter connects your new Note Book, Laptop, Mac book, Chrome book, Pi with HDMI interface to projector, Display, LCD, TV & Monitor with VGA interface for big screen viewing. A VGA male to male cable is required. 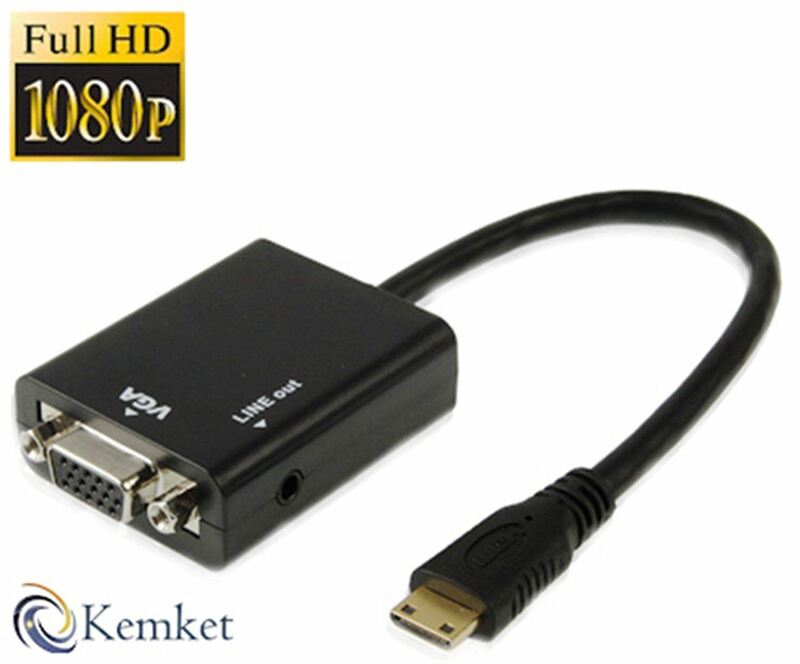 With built-in chipset, converts HDMI digital signal to VGA analog signal. 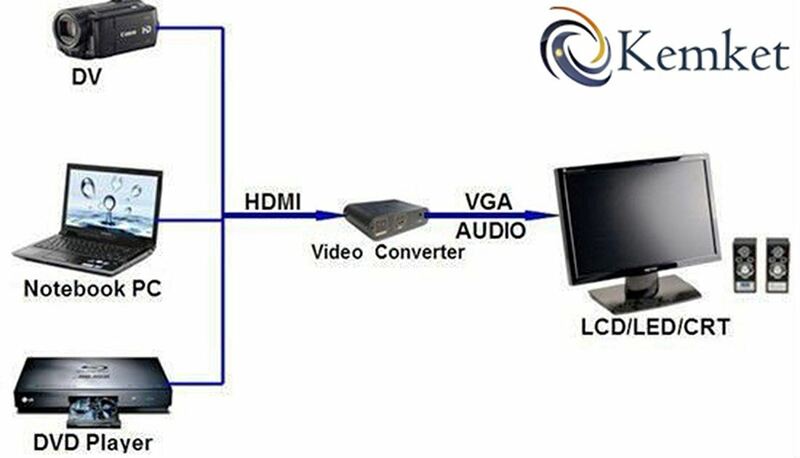 It is not bi-directional, only transfers signal from HDMI source devices to VGA displays or monitors. Premium aluminum case, with better heat dissipation and anti-interference. Support Video output in VGA: 1920 X 1080 @60Hz(Max). 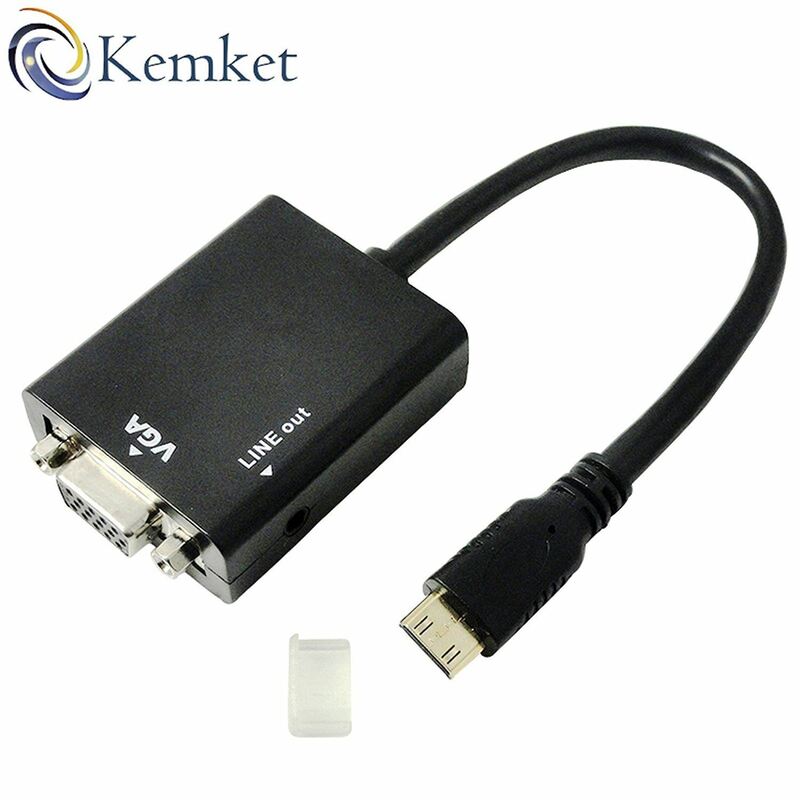 VGA can only process Video signal, but this adapter additionally provides with a 3.5mm line-out jack. Let you connect this adapter to your TV or external speakers through a 3.5mm jack audio cable. 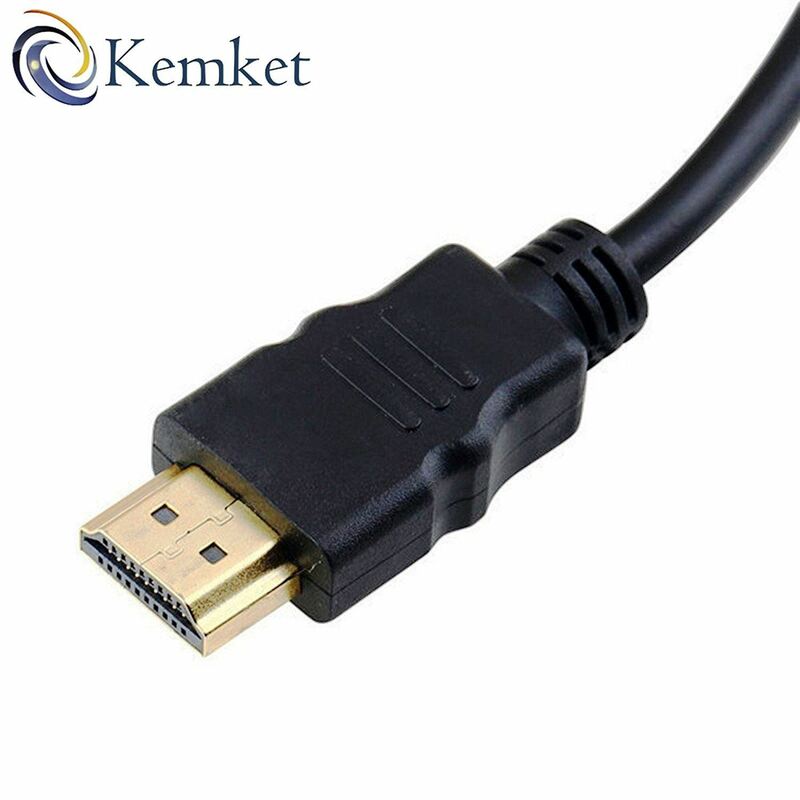 A separate micro USB cable is included and optional for power, which optimizing its compatibility with more devices, for example, MacBook Mini in 2014, Apple TV, Smart Android TV Box and other devices with low-power output HDMI port. Compatible with Apple TV, PC, Laptop, Ultra book, Chrome book, Mac book, Live streaming media player, Smart TV Box and other devices with HDMI interface. HDCP compliant does not support copyright protected contents. Not compatible with Blu-ray, PS3, PS4, Xbox 360.